Compassion & Choices, a “right-to-die” advocacy organization based in Denver with more than 450,000 members nationwide, is teaming up with U.S. Sen. Michael Bennet on the so-called Independence at Home Act of 2016. Under the legislation, the federal government will provide incentive payments to healthcare providers who, over the course of a year, realize expenses that are lower than estimated targets. This could be a financial windfall to alleged medical providers who advocate the suicide of their patients. This perverse incentive is one of the top reasons that pro-life groups opposed a similar law in California that became active on June 9 and similar legislation in Colorado that failed last year. And the cost factor plays a big part in the Independence at Home Act of 2016. Unsurprisingly, Compassion & Choices is funded by George Soros, and is a successor organization to the infamous group the Hemlock Society. 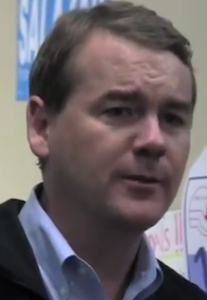 Bennet’s unholy alliance with Soros should concern Coloradans.